So you want to make the team? You’ve seen the others out on the field on crisp, cool, autumn nights, clashing in their one hundred yard pit, and you want some of this. You want to be a part of this—you need to be a part of it—and if someone has to ask you why, well, they just don’t understand. Oh, you’ve got it bad. You want to make the team. The good news is you can. These guys are—or were, at one time—just like you. But maybe you’re thinking, “ah, I’m not like them. I’m not good enough.” Stop! Don’t think that. Maybe you’re not as good as they are right now, but the good news is you can do something—maybe an awful lot—about it. Whether athletes are born or made is not as important as the reality that you can always put in the effort to get better, you can improve. The good news is you can work at it, and that good news can pay off. Where you are right now, you’re not quite sure how to proceed. You know what you want, but you don’t know how to get there. You’ve not played organized football, and you know you need to work on some things before you can even try out for the team. You’ve played sports informally, but you haven’t lifted weights and you can tell that strength is one of the things you need for football, and you’d feel a lot better about trying out if you could get stronger, for sure, and maybe bigger, too. So how does a beginner start? 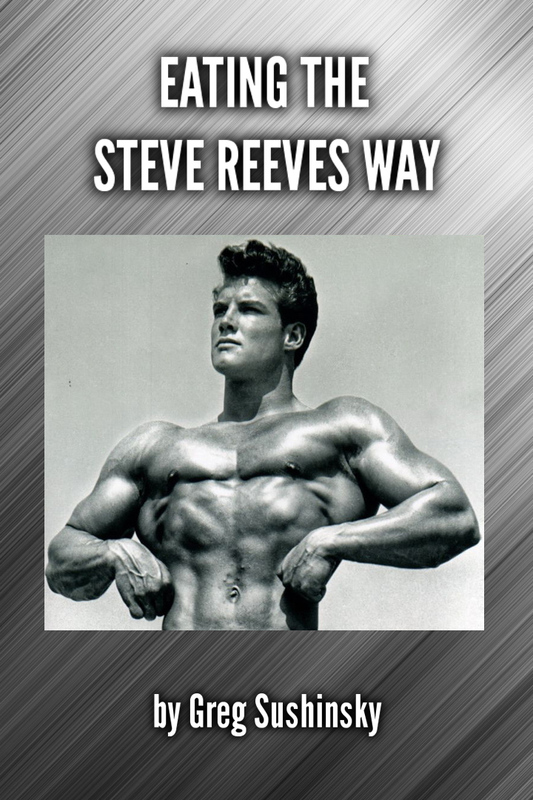 Training the Steve Reeves Way is a short Kindle e-book by Greg Sushinsky. It is based on interviews granted by Steve Reeves to John Little and several articles in MuscleMag, a popular bodybuilding magazine.The author clearly admires Steve Reeves and his well-sculpted classical physique. He also strongly applauds Steve's healthy way of attaining it. Greg Sushinsky is a natural bodybuilder himself and, in addition to writing and exercising, runs the Premier Bodybuilding and Fitness website. What Is The Magic of Symmetry? In this landmark classic course, world renowned bodybuilder Steve Davis has set down the principles that will guide you to your best physique ever. Steve will show you step by step through detailed, precise instruction and informative, eye-catching photos how you can transform your ordinary body into a sensation, head-turning blend of muscle size, definition, and perfect proportion. Randy Roach has done it yet again. 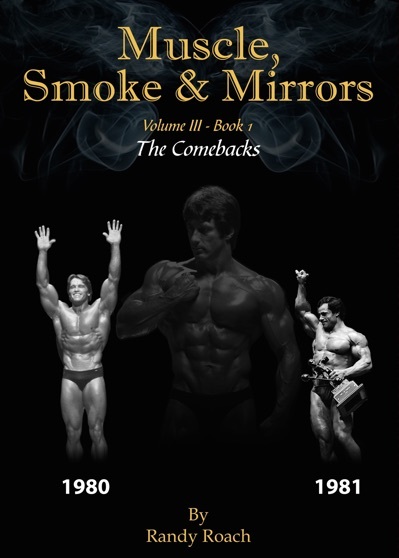 In his new book, “Comebacks,” which is the first book in Volume III of his “Muscle, Smoke & Mirrors” saga, he has achieved a minor bodybuilding masterpiece. 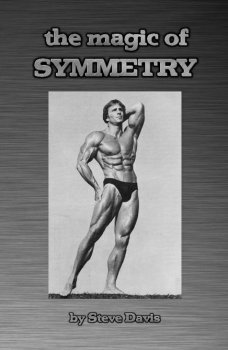 The book follows the 1980 and 1981 Mr. Olympia contests, or more precisely, the firestorm that surrounded the returns to competition of Arnold Schwarzenegger and Franco Columbu and their controversial, unpopular wins. To those that remember these contests and the events that surrounded them, they’ll recall the highly emotionally charged times they were. Everybody had their favorite alternative winners: Dickerson, Mentzer, Coe, Platz, etc. While most bodybuilders, fans and observers of the sport have a variety of opinions as to what and why things happened, most felt it was one of the darkest times in the sport. Simply put, the bodybuilding world by and large thought the two contest verdicts were outrageous; the popular belief was that the outcomes were pre-determined. Yes, that means fixed. Bodybuilders often search for a better approach to eating. Although many admire the physique of the legendary Steve Reeves, not nearly as many know about the nutrition which helped build that legendary physique. Too often, Reeves’ nutrition has been overlooked. This article examines Reeves’ nutrition and brings it to life, as it sheds light not only on what Reeves ate but more importantly how and why Reeves fashioned his approach to eating for health and bodybuilding success. 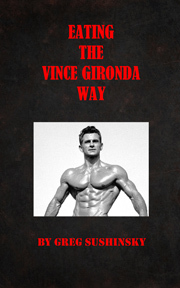 There is much confusion about the nutritional principles of legendary bodybuilding trainer Vince Gironda. In this short article, much of that confusion is cleared up. It features clear explanations of Vince Gironda’s nutritional approach and some ideas as to how to apply this to your own eating. It’s especially helpful for beginners, or those unfamiliar with Vince’s approach to nutrition, but there is also insight for more advanced bodybuilders.